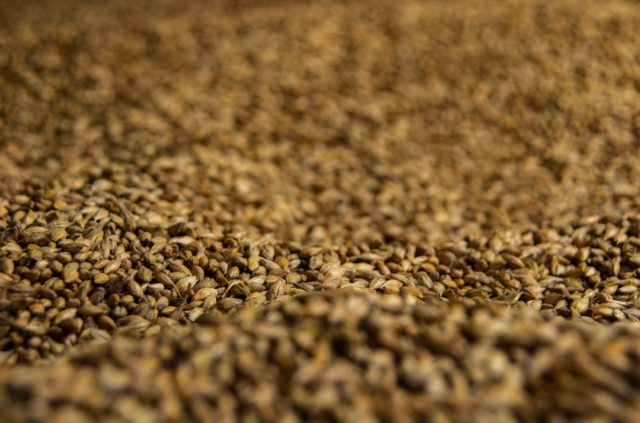 Billing itself as ‘Scotland’s farm maltster’, fifth generation working family farm A Milne & Sons has launched a craft malting business after securing a £500,000 funding package from HSBC UK. Called Crafty Maltsters, the business operates out of the family farm located just outside Auchtermuchty in Fife. Alison and David Milne, who took over the farm from David’s parents in 2014, wanted to find ways to diversify and add value to their existing arable and livestock farm. The £500,000 investment will be used to build a 3,000sqft shed for storing and processing grain as well as purchasing the equipment needed to turn the grain into malt. Alison Milne, a former commercial director for the National Union of Farmers Scotland and now owner of Crafty Maltsters, said: “After studying the malting supply chain we spotted a gap in the market for small-scale malting providers that can guarantee quality, locally-sourced malt for brewers and distillers across Scotland. David Rhind, agriculture relationship director at HSBC UK, added: “We were impressed with Alison’s experience and expertise in the sector and, along with her family, she has clearly spotted an excellent business opportunity. The investment is part of HSBC’s £12 billion SME fund of which £650 million is allocated to Scotland. Scotland Food & Drink, the country’s national agency for the food and drink industry, is aiming to make Scottish brewing a £1 billion sector by 2030. Scotland currently boasts over 130 breweries supplying around 8,000 jobs.